Born in Texas, Rescued in Spain, Returns to America. I rescued Tessie from a military dog rescue center in Spain in 2007 where she was being put up. Fortunately I discovered her there before any paperwork was completed, so no fees were payed and I got a 2 year old AKC certified GSD for free! In fact, the previous owners gave me all the paperwork and 2 bags of dog food to go with her. She was born in Texas in June 2005 and lived in Spain with me for three years, we recently returned the east coast of the United States. I recently took her on a cross country road trip and drove through Texas along the way, so I stopped and got her a bone, said "Welcome back" and continued on. Hi Mike. 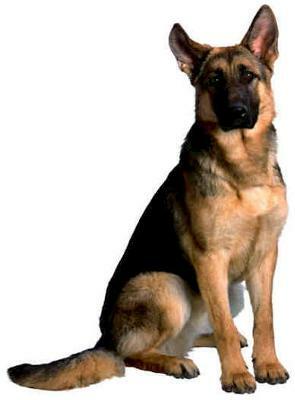 Thanks so much for taking the time to come here and share your own personal German Shepherd Dog story with us all here. It was so nice to hear to hear that you rescued Tessie. Good for you - and her too, she’ll reward you for years to come.